This was the view of the hieroglyphic stairway in 2002. It was already very badly worn, but reconstruction was well under way. 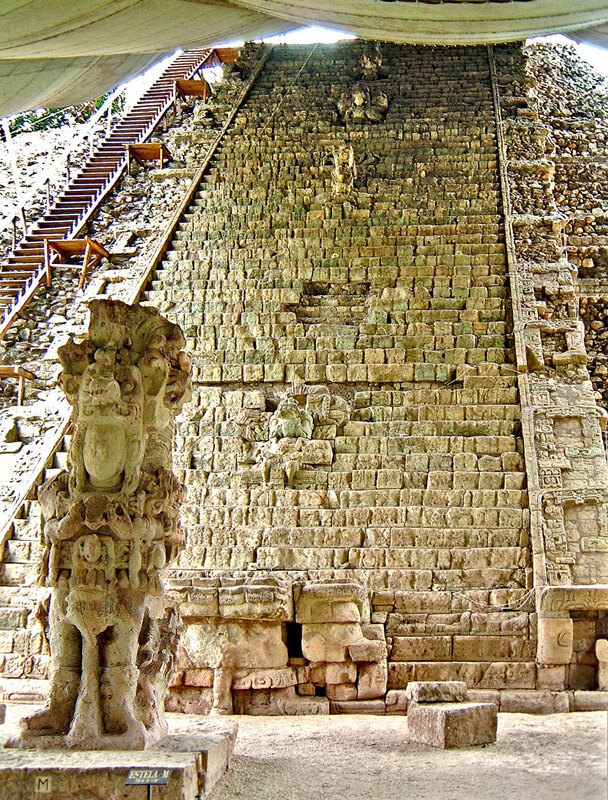 In front, stands Stela M which depicts K’ak’ Yipyaj Chan K’awiil who rebuilt Structure 26 in 756AD and remounted the Hieroglyphic Stairway with the 5 statues of which four can be seen on the stairs still.